Okay, the storm passed, and everything is still working. 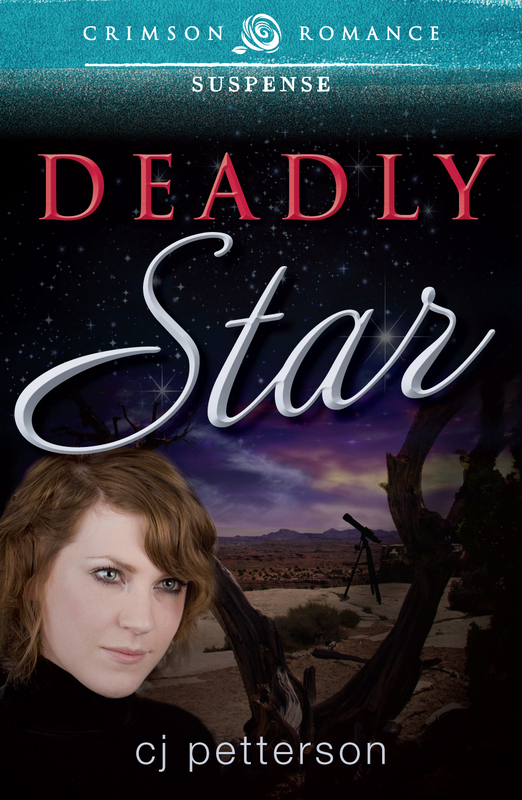 (sigh) Here's the DEADLY STAR excerpt I promised . . .
“Used to be you were right in the thick of things.” He sent a concerned look her way. She shook her head and looked away. I guess I do I miss people. Not that Mendocito even has a social scene, but after I left that Irish whirligig, I did let my social life spin down to zip, nada. An explosion and a burst of dark smoke shocked Mirabel into open-mouthed silence. She watched the propeller spin to a halt. “What happened? What just happened?” she yelled. “Sounded like the engine blew,” Dan answered calmly. He knocked his fingertip against the circles of glass on the instrument panel. The needles clung to zero on the dead gauges. He pushed and pulled on the knobs as he worked to restart the engine. “It is...was. Why don’t you push your seat back and tighten that belt.” He sounded calm, as if he had just told her to get ready for a bit of air turbulence, and then called, “Mayday! Mayday!” into the mic. “This is November Six Niner Seven Alpha, heading—” He stopped and tapped his earpiece at the same time Mirabel fixated on smoke seeping from the instrument panel. “Radio’s dead,” he said and peeled off his headphones. The plane was losing altitude. As Dan worked to deadstick the Cherokee down, he talked to Mirabel, explained what he was doing when he twisted the trim control knob. “I’m turning the plane into a glider. Keep us from going in nose down.” The plane wobbled, wanted to roll. Dan wrestled with the stick to keep the wings horizontal. His legs pumped the left and right rudders. “We’re not going to make it, are we?” she said in a breathy voice. Oh, God, please. I’m not ready. “Not much wind. Our best chance is to come in straight, not crab in sideways,” he said, scanning the array of gauges with unmoving needles in their faces. She nodded as though she understood what he meant. “Good thing I have on clean underwear.” Her laugh caught in her throat like a sob. “Luck,” she rasped and breathed a silent prayer as the desert floor rose in horrific slow motion to meet them.